TORONTO FILM. 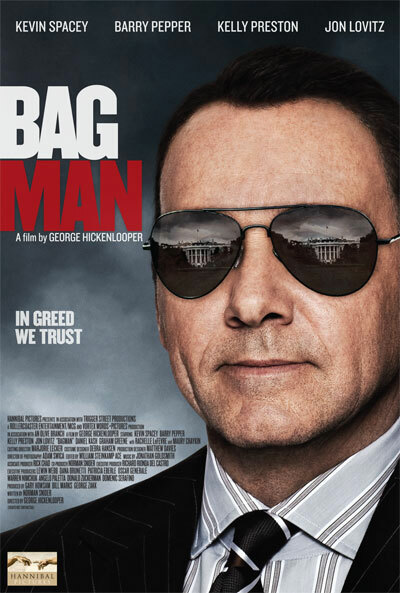 NET: Kevin Spacey Left Holding The "Bagman"
Kevin Spacey Left Holding The "Bagman"
"Bagman" (aka "Casino Jack"), directed by George Hickenlooper, from a screenplay by Norman Snider is a new Canadian-lensed 'docudrama' starring Kevin Spacey, focusing on the career of Washington lobbyist 'Jack Abramoff', who was involved in a massive corruption scandal that led to his jail conviction, along with two White House officials, Rep. Bob Ney, nine other lobbyists and congressional staffers. Abramoff was convicted of fraud, conspiracy, and tax evasion in 2006 and of trading expensive gifts, meals and sports trips in exchange for political favors. Filming started June 2009 in downtown Hamilton, Ontario, with sequences also filmed at McMaster University. The feature is scheduled for release October 1, 2010.